While browsing the cosmetics isle at Rite Aid, I spotted some face and eye brushes from Rite Aid's Renewal brand. I believe that these are new releases from Rite Aid. I did not even know that they had their very own cosmetics brand. 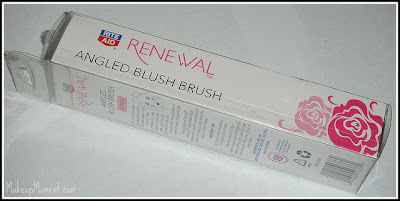 Curiosity got the best of me, and I decided to pick up the Rite Aid Renewal Angled Blush Brush ($7.99), to try out. I was certainly not disappointed. I don't own an angled blush brush, but I know that they are amazing for contouring, and applying blush at just the right spot. I was really excited when I read that the brush hairs are indeed "animal friendly synthetic bristles". I love when companies keep the well being of animals in mind. The brush feels very sturdy, and I like that the bristles are tightly packed in the ferrule. I also love how the bristles feel super soft against my cheeks. Because the bristles are synthetic, it allows for a superb blending experience. This blush brush picks up just the right amount of product and voila', blushing and contouring has never been easier. 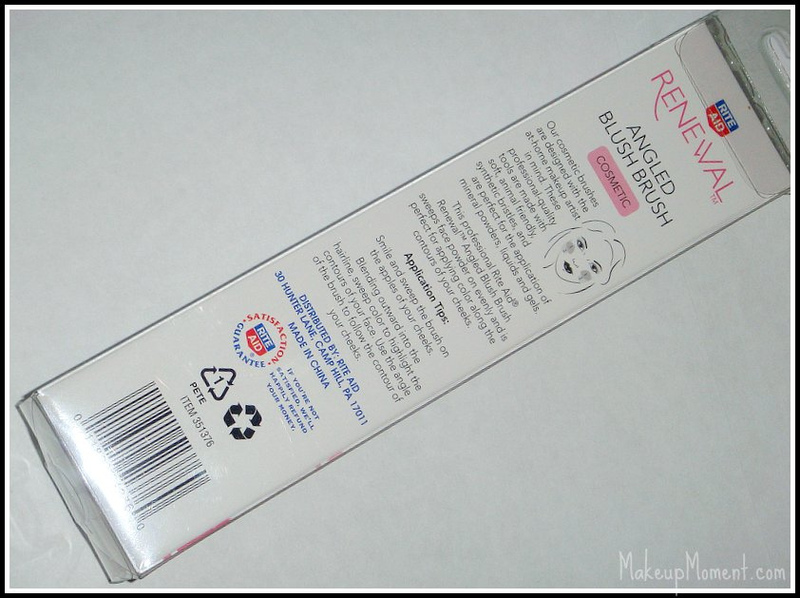 It practically does the work for you, since you don't have to work so hard to blend the product into your skin. Even the brightest of blushes don't have anything on this Renewal Angled Blush Brush. You get the most natural-looking color, that never looks overdone. Another great thing is that the bristles have not shed a single hair! They are still all in tact. 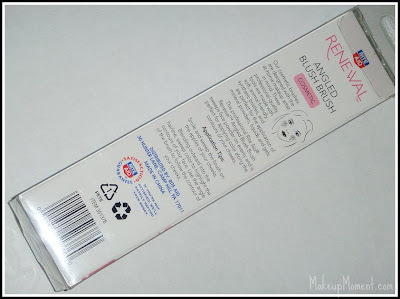 According to the packaging, this brush also works wonders with liquid and gel products as well. I can't really vouch for this statement, since I have only tried this brush with my powdered blushes and bronzers. But honestly, I don't doubt that this brush works for cream and gel products just as well as it works for my powdered products. 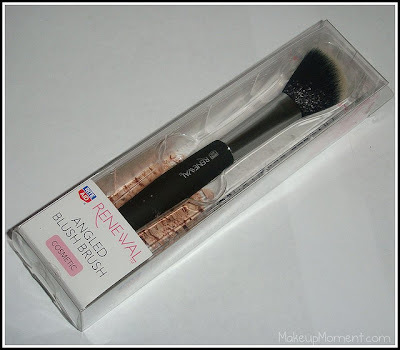 Overall, this blush brush is a great find. And if you spot this angled blush brush in Rite Aid, I definitely recommend you guys picking it up-how can you not with the great quality, and affordable price? 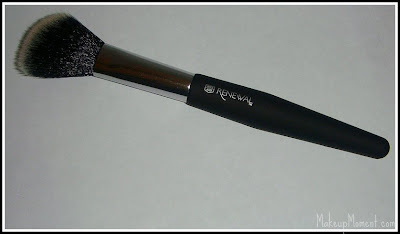 I love this brush so much, that I am going back and picking up a few more of the other Rite Aid Renewal cosmetic brushes. I hope they are just as good as this brush is. 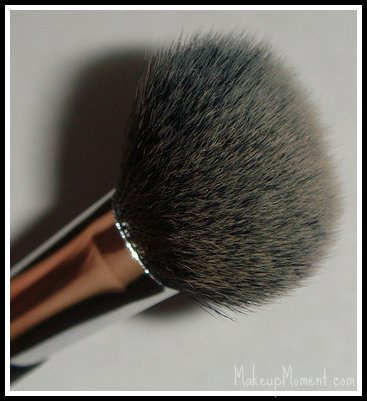 What do you all think about this angled blush brush? Have any of you tried it? This brush looks really soft. I'm glad you found such a nice brush to add to your collection. Thank You, Dao! 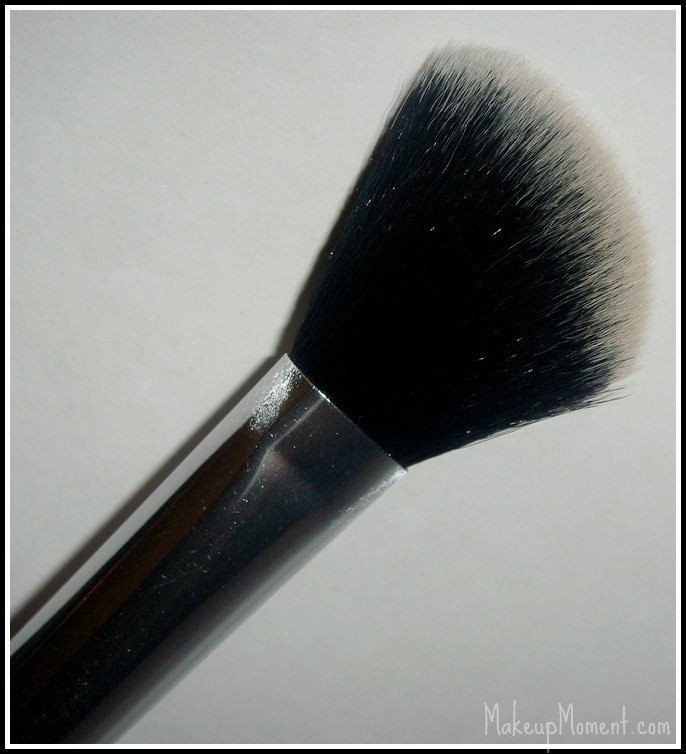 :) What are some of your favorite cosmetics brushes?